What has Greg been doing? 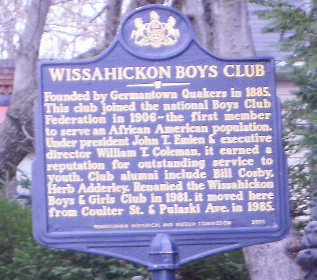 A group of neighbors are leading the effort to save the Wissahickon Playground, for a century located at Pulaski and Penn Streets. They have retained attorney Samuel Stretton and filed a lawsuit against the City of Philadelphia to save this important recreation space for families located in the center of our community. The next court date is to be announced as soon as our appeal generates a hearing date. Read about the effort by neighbors to challenge the injustice done by the taking of the children's Wissahickon Playground in Germantown. Greg lead the effort to secure this important state marker.